ANGELS ARE MADE OF LIGHT is an observational documentary by twice Oscar-nominated filmmaker James Longley (IRAQ IN FRAGMENTS), that takes the viewer on a journey into the heart of Afghanistan, following children and teachers in a public school in Kabul over three years at the formal end of US military involvement. ANGELS ARE MADE OF LIGHT is set in one main location, the Jada Maiwand neighborhood of old Kabul, and includes a multi-generational ensemble of students, teachers, and administrators from the Daiqiqi Balkhi School who are joined by family and a commitment to each other’s well-being. Perched precariously before an uncertain future as NATO combat forces withdraw, broad questions arise: will Afghanistan stabilize or teeter back into civil war and political Islamism? 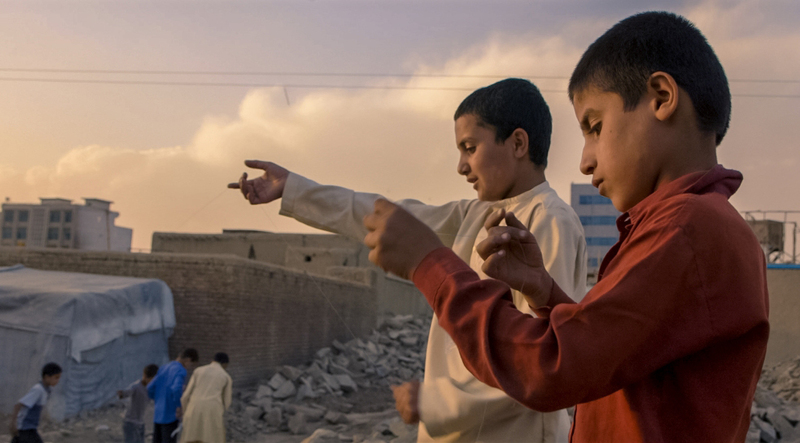 What will happen when the new generation of Afghans comes of age? Will Afghanistan move toward a future as a representative democracy, the Taliban under a different flag, or something else? World sales: Ro*Co Films. Norwegian distribution: Kudos Family. Double Exposure Film Festival, Washington D.C.